First published in 1997, this volume reflects concern about the environmental impact of modern agricultural practices, agriculture's increasing reliance on non-renewable resources, and the long-term productivity of high external-input agricultural systems which has prompted a number of initiatives to promote the adoption and diffusion of more sustainable technologies. For these interventions to be effective, they should be based on an understanding of what induces the producer to switch from conventional to alternative practices. 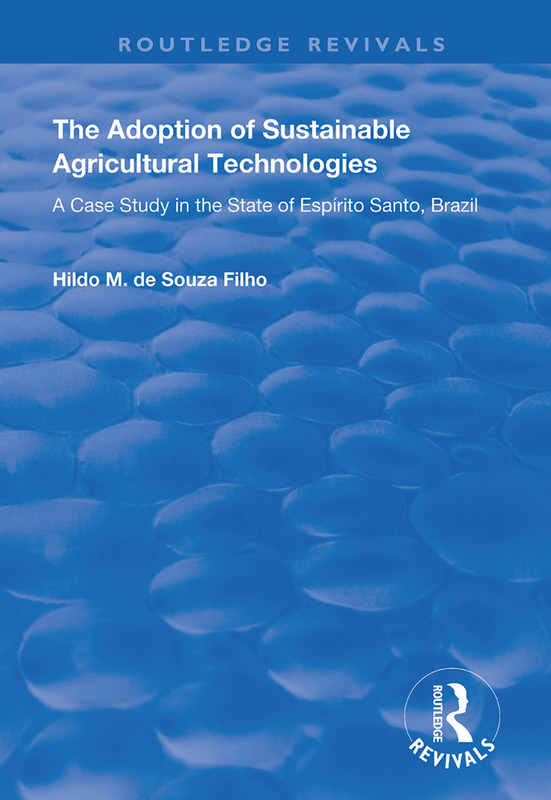 This book provides a review on the determinants of adoption and diffusion of sustainable agricultural technologies, including concepts and theories related to this theme. The Green Revolution in Brazil is examined as a means of establishing the background for an empirical investigation. Data about farms in the State of Espírito Santo are analysed using duration analysis, an econometric technique which allows to assess the impact of time-varying, economic variables. Thus, adoption is explained as a dynamic process.